While the villainous Don John devises a scheme to shatter the nuptials of Claudio and Hero, the young lovers conspire to trick Beatrice and Benedick into admitting their much-denied love. In this powerful comedy full of sparkling wit, Shakespeare gives us the joy of love won and the ache of love lost. He makes us laugh and breaks our hearts, then magically puts them back together again. 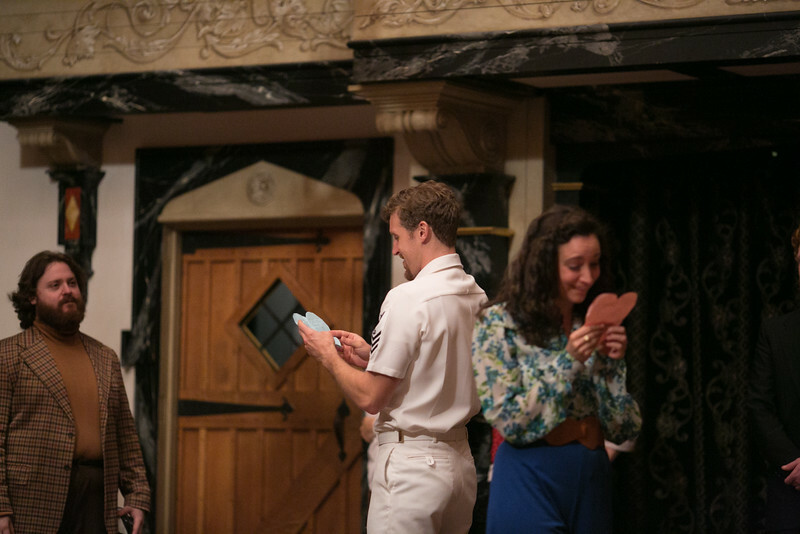 Andrew Goldwasser, Stephanie Holladay Earl, and Susie Parr in MUCH ADO ABOUT NOTHING. Photo by LINDSEY WALTERS. 2015. Stephanie Holladay Earl in MUCH ADO ABOUT NOTHING. Photo by LINDSEY WALTERS. 2015. 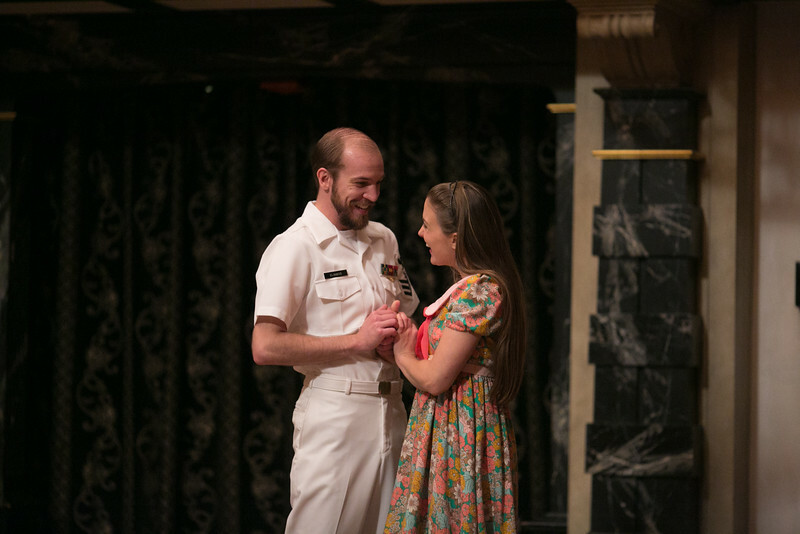 Andrew Goldwasser and Alexandra Leigh in MUCH ADO ABOUT NOTHING. Photo by LINDSEY WALTERS. 2015. Tim Sailer and Susie Parr in MUCH ADO ABOUT NOTHING. Photo by LINDSEY WALTERS. 2015. 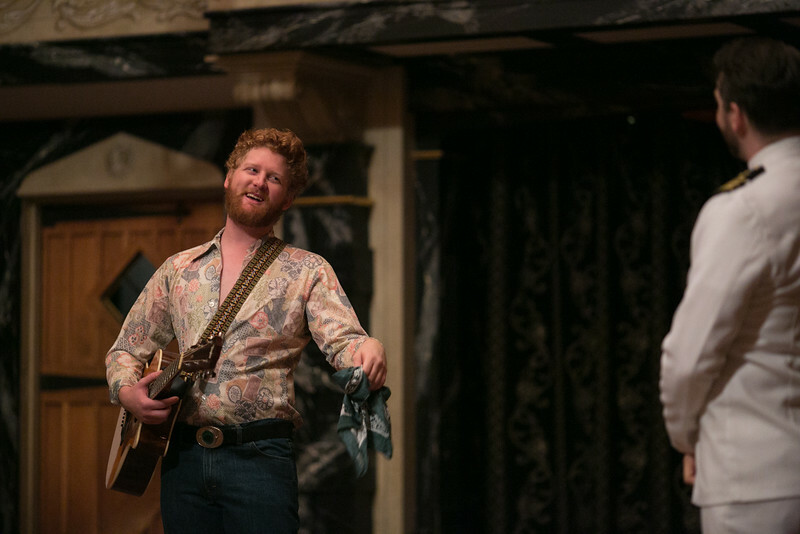 Stephen Brunson in MUCH ADO ABOUT NOTHING. Photo by LINDSEY WALTERS. 2015. 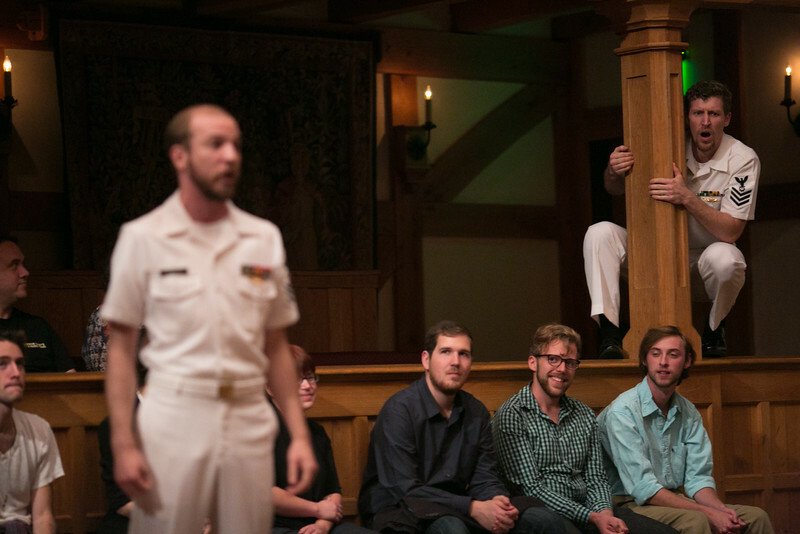 Tim Sailer and Patrick Earl in MUCH ADO ABOUT NOTHING. Photo by LINDSEY WALTERS. 2015. 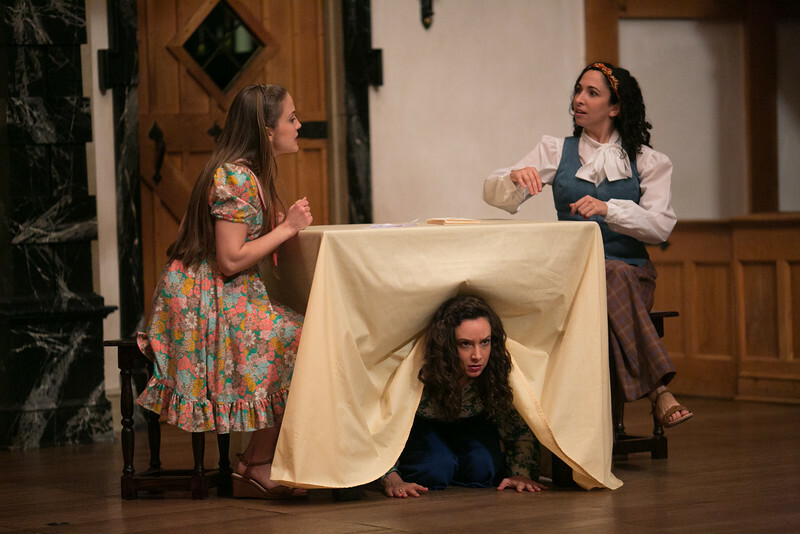 Susie Parr, Stephanie Holladay Earl, and Alexandra Leigh in MUCH ADO ABOUT NOTHING. Photo by LINDSEY WALTERS. 2015. 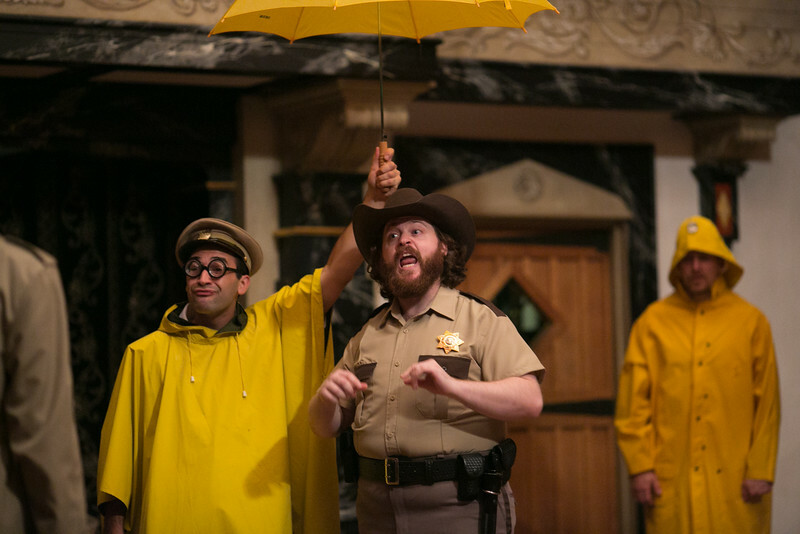 Patrick Poole and Andrew Goldwasser in MUCH ADO ABOUT NOTHING. Photo by LINDSEY WALTERS. 2015. 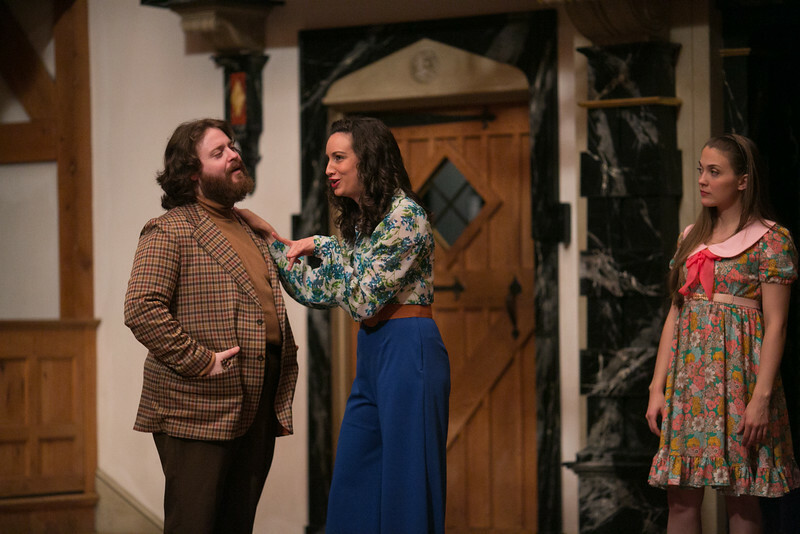 Stephen Brunson, Tim Sailer, Stephanie Holladay Earl, and Susie Parr in MUCH ADO ABOUT NOTHING. Photo by LINDSEY WALTERS. 2015. 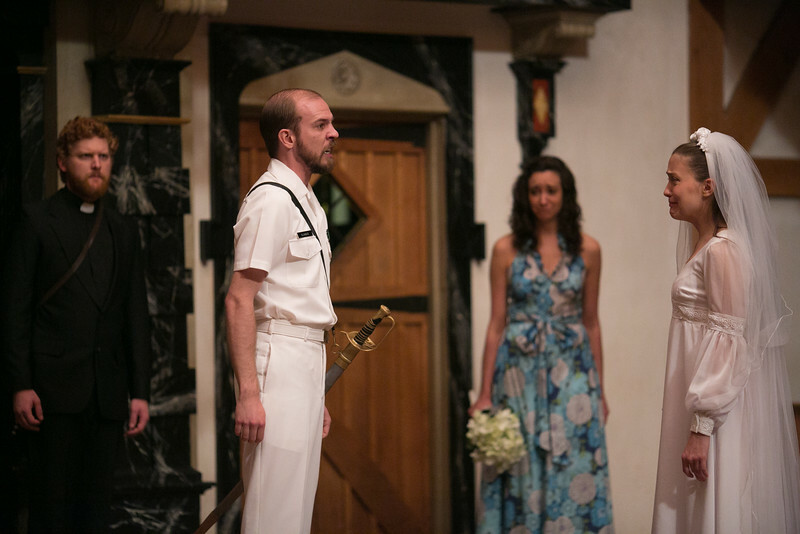 Andrew Goldwasser, Patrick Earl, and Stephanie Holladay Earl in MUCH ADO ABOUT NOTHING. Photo by LINDSEY WALTERS. 2015. Claudio (Don Pedro’s younger friend) tells Benedick and Don Pedro that he is in love with Leonato’s daughter, Hero. Knowing that Benedick is eavesdropping on them and thus will overhear, Don Pedro, Claudio, and Leonato pretend to be aware that Beatrice has professed her love for Benedick. Knowing that Beatrice is eavesdropping on them and thus will overhear, Hero and her gentlewoman Ursula pretend to be aware that Benedick has professed his love for Beatrice.  Before Dogberry and the watchmen can reveal the truth, Claudio rejects Hero and publicly shames her at the wedding; Hero collapses, Don Pedro and Claudio depart. In the aftermath of the ruined wedding, Beatrice and Benedick finally profess their love to one another. Beatrice asks Benedick to kill Claudio for shaming Hero. Much Ado About Nothing is that unique work of literary art that is generally liked by scholars, critics, and the average theatre-goer. There’s a little something for everyone: hilarious prose, romantic poetry, the young love of Claudio and Hero, the comical cynicism of Beatrice and Benedick, the nihilistic malevolence of Don John and his compatriots, the challenges of parenthood, the thrill and danger of gossip, the fear of commitment, the joy of love, two full dance scenes, and no fewer than three songs. Shakespeare gives us all this and still finds time to poke fun at cops. Of course, this marvelous cornucopia of drama is no accident. I love Much Ado for many reasons, but I think what I find so inspiring about the play is where it lands in Shakespeare’s career and canon. Performed for the first time circa 1598-1599, it is almost exactly in the middle of his career, and the play is alternately an improvement on his previous work and the foreshadowing of his greatness yet to come. With Beatrice and Benedick, Shakespeare revisits the “merry war” fought by fiercely intelligent and passionate men and women, but he does not simply repeat himself: he retains certain aspects that “work” dramatically, but I think he expands Beatrice and Benedick far beyond the confines of Kate and Petruchio or Rosaline and Berowne. 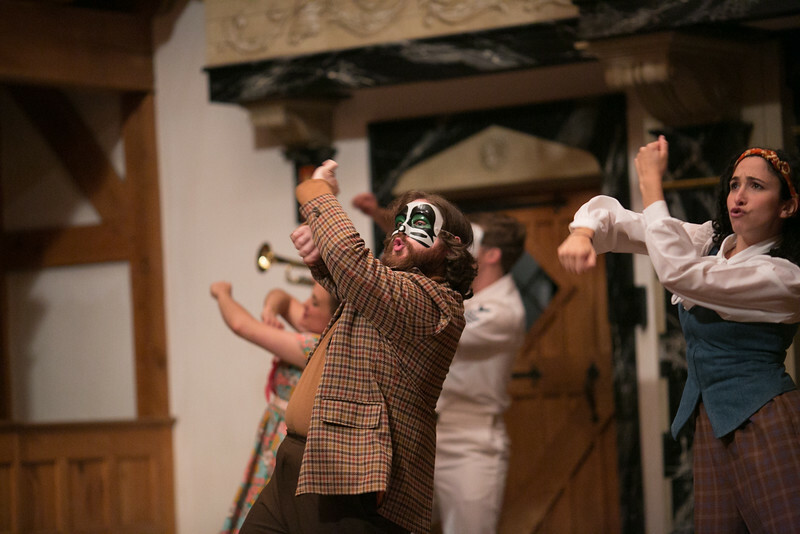 In Dogberry, Shakespeare eschews the comic beatings of the Dromios and the animal gimmickry of Launce and Crab while retaining all the humor and still improving on his use of language as the chief comical force. In many instances, Shakespeare is using what has been previously successful, but what he does not do is rest on his laurels: he is growing as an artist before our eyes. And as much as he looks to the past, he is also always looking to the future. In Don john, Shakespeare creates a villain that is in some ways more terrifying than Richard III: Richard wants the crown, but what does Don John want? Shakespeare wisely sidesteps the answer to this question and gives us a villain that is the prototype for Iago and even Leontes. Like Iago, Don John never sets out to kill anyone; but he does make people miserable; and, like Leontes, we wish we knew why he was doing these awful things! The reunion of Hero and Claudio can be seen in Posthumous and Imogen, as well as Hermione and Leontes. there is some Lear in Leonato’s berating of his daughter, some Iachimo in Borachio’s heartfelt confession, and event the song performed at Hero’s tomb reminds me of how a combination of true repentance and music brings Hermione back to life. I therefore feel that the lesson of Much Ado is to never stop trying to be better. For the characters, that means being better friends, better fathers, better cops, and better husbands. For the author, it seems to have meant that one can improve old ideas while still reaching for new discoveries of both beauty and terror. For myself and the artists you are about to watch, I look forward to collectively dedicating ourselves to this artistic challenge: let’s be better story-tellers. 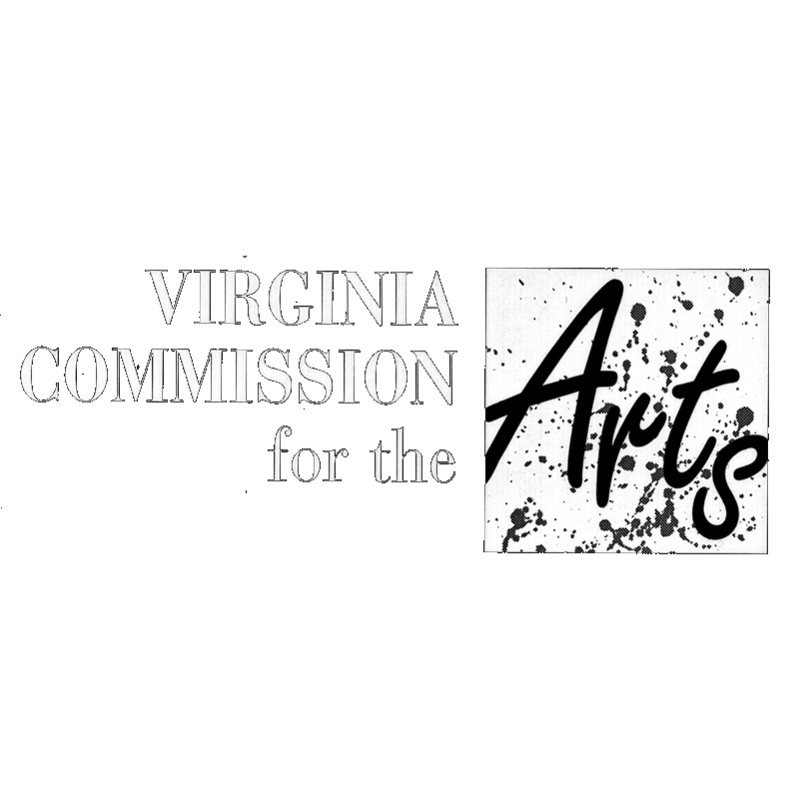 Let’s be better actors, better musicians, and better dancers. Let’s be better artists. Who knows? We might even wind up being better people. 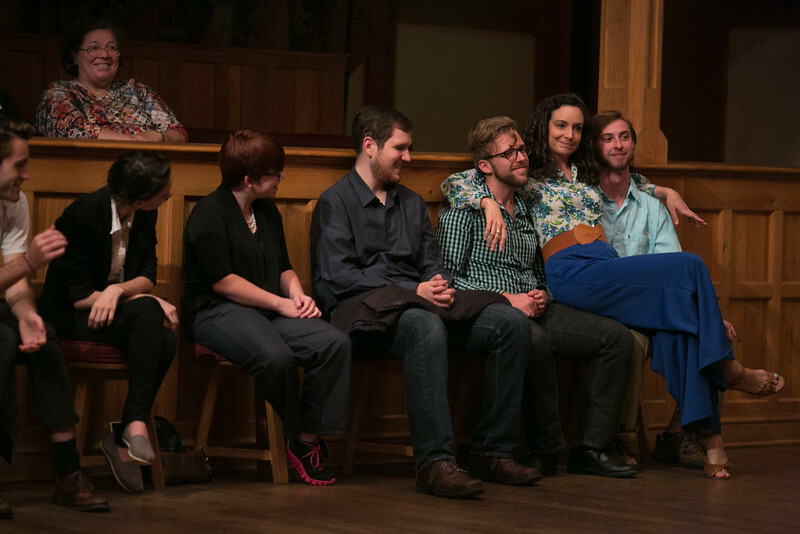 Working on Much Ado is a bit like falling in love. It makes me excited and it makes me nervous; but, like love, I am sure it will make me better. I hope it does for you too.